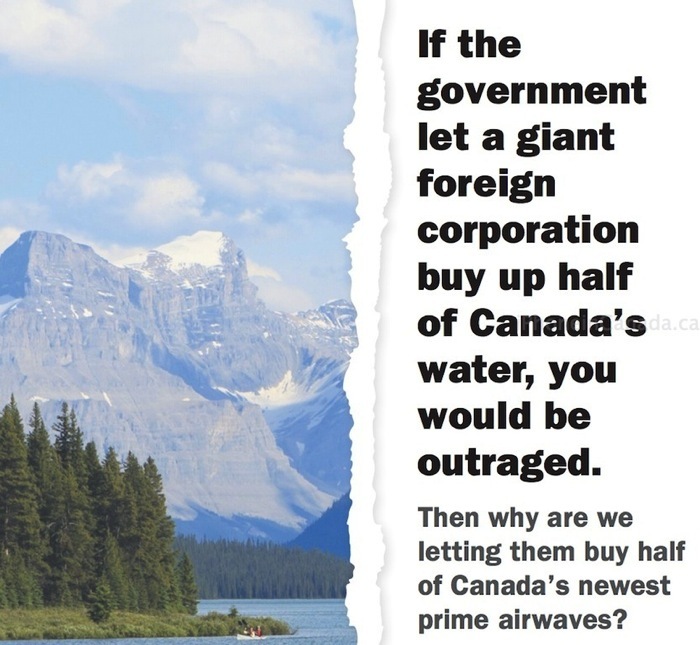 The overall theme of the water ad is in line with previous ads, which have stated Canadian jobs are at stake; many have criticized them as hypocritical, considering all three companies have previously outsourced positions outside of Canada. Industry Minister James Moore has criticized incumbents publicly by condemning their ads as “dishonest” lobbying. WIND Mobile CEO Anthony Lacavera also recently was outspoken against Rogers, Telus and Bell, lambasting the Big 3 for their “buffet of misinformation” being served to Canadians. 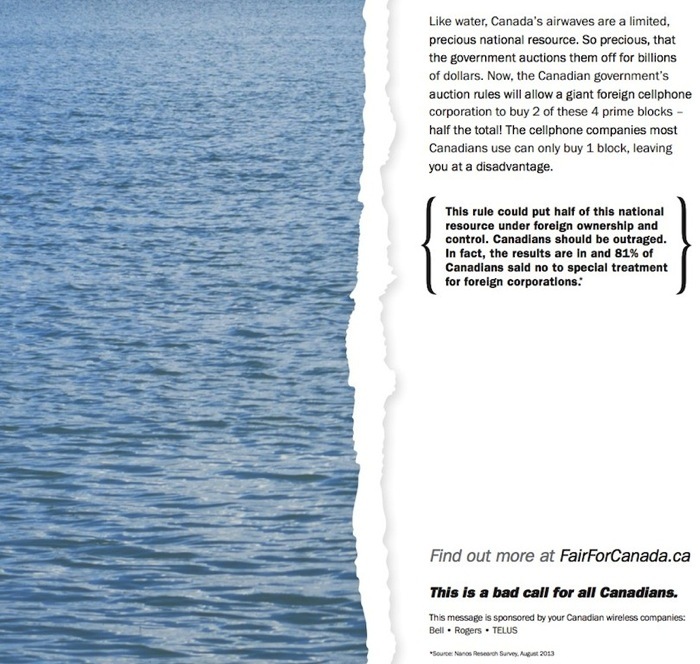 Some others have also created their own responses to the ‘Fair for Canada’ campaign while others have parodied the videos. 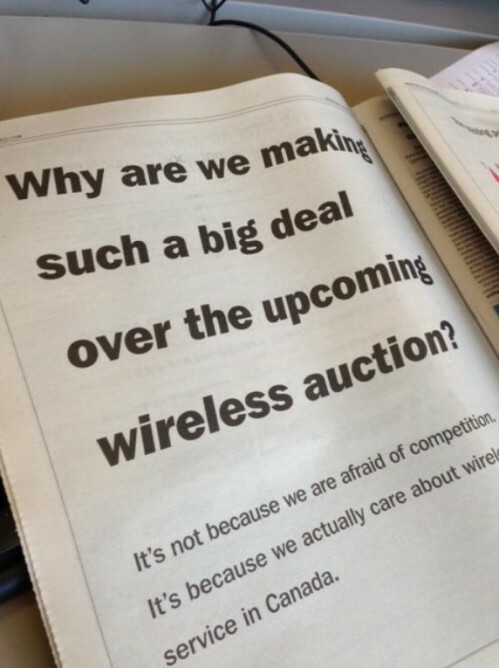 Telecom analysts have also recently cited the widespread ad campaign by the Big 3 has caused backlash instead of gaining support. Just yesterday the Federal government created their own response to the ‘Fair for Canada’ campaign, with the launch of the dedicated educational section ‘More Choices’ on Industry Canada’s website. What do you think of this latest ad campaign by the Big 3? Should we be worried? ?